Is there any truth to the claim that the world will end in 2012? Establishing a specific date and linking it to an end-of-the world scenario appears to be the work of sensationalist hucksters and New Age mystics mystics who have used the world's greatest rumor mill — the Internet — to create unjustified hysteria. Drosnin's Bible Code prediction about the earth being annihilated in 2012 must be considered in reference to the fact that when he published his book in 1997 he claimed that the codes predicted a nuclear war in 2000 or 2006 and a comet strike on the earth in 2006.22 These events failed to take place. In the last installment of this 2012 series, we'll look to see what the Bible says concerning the end of this world. 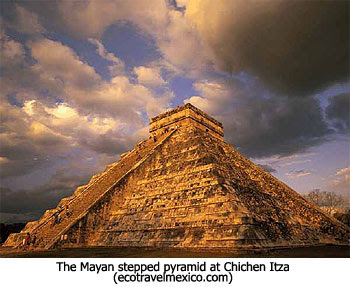 14) G. Jeffrey MacDonald, "Does Maya Calendar predict 2012 apocalypse?" USA Today, March 27, 2007, www.usatoday.com/tech/science/2007-03-27-maya-2012_n.htm, accessed October 18, 2009. 15) Mervin Stoddart, "Will the world end in 2012?" The Jamaica Observer, October 25, 2008, www.jamaicaobserver.com, accessed on October 6, 2009. 17) Richard Lowe, "2012: What's All The Fuss About?" www.december212012.com, accessed October 18, 2009. 18) Alfred Lambremont Webre, "2012 may bring 'perfect storm' — solar flares, systems collapse," Fort Worth Examiner, April 1, 2009, www.examiner.com, accessed October 18, 2009. 19) NASA, "Solar Storm Warning," March 10, 2006, http://science.nasa.gov/headlines/y2006/10mar_stormwarning.htm. 20) For more information about Nostradamus, see "Nostradamus Prophet or Charlatan?" by Dr. David R. Reagan, www.lamblion.com/articles/articles_cults9.php. 21) David R. Reagan, "The Bible Code: Is it for real, and if so, does it provide new evidence of the supernatural origin of the Bible?" www.lamblion.com/articles/articles_bible4.php. All I have to say is that after "ClimateGate" blew up, I had even less confidence in any scientists ability to "predict" future events. Note that my confidence was already at an all time low of about -1! Heck, "scientists" can't even predict tomorrow's weather correctly. How can we expect them to make an accurate prediction about something several years away? I like watching that show "The Nostradamus Effect". That show is too funny. If you haven't seen it, it's about 1) an hour too long (it's a one hour show) and 2) it talks about all these end of the world prophecies. The really funny thing is how they try to force the Bible to fit all these other "predictions" about the end of the world and how they all revolve around 2012. Unfortunately, Drosnin's Bible code prophecy of a nuclear war was supposed to have occured almost 4 years ago. This 2012 stuff makes me zzzzzzzzzz! There is at least 1007years to go before the world ends. Would you mind if I change the subject? Concerning all children being taken at the rapture; I really want this to be true, but I find it a struggle to find Biblical evidence – however, even if it is true, what about all the newly conceived babies throughout the Trib? The thought of all the new born and up to seven year olds having to endure all that horror is too much to bear thinking about. I would like to think The Lord will prevent conception, or maybe the Trib horrors will effectively cause abstinence; though I doubt it to be honest. Are their any verses that may speak of this? I have to say I haven’t noticed any mention of children during the Trib prophecies – could be wrong? Just wondering why God would remove them at the rapture if He does nothing about conception and childbearing throughout the 7 years? Sue, sounds like you've recently read Will Children Be Raptured?. The article doesn't cover children born during the Tribulation because the Rapture is for the Church and should occur before the Tribulation begins. The Bible doesn't say, but its silence indicates that we can assume people will go on procreating during the Tribulation. The only thing that might sterilize parts of the population is from nuclear fallout (see End Time Wars - #3-4 Conventional And Nuclear). It's terrible to think that children will be born during the Tribulation, but should they die before the age of accountability we can be wonderfully assured that "the kingdom of heaven belongs to such as these" (Matt. 19:14). Those that survive the Tribulation and accept Jesus' salvation will wonderfully live on in their earthly bodies into Jesus' Millennial Kingdom. i agree that this 2012 nonsense is a little boring to those of us who know better but still, alot of people are taken in by it so the information needs to get out. alot more people will be taken in by this (including "christian"prophecy teachers) as the date gets closer. I believe that just as Y2K came and went, so will 12/21/2012. At this time it is my opinion, however, that during the next few years there will be a number of significant events that will happen on the world stage that will cause many people to take a second look at Bible prophecy. As a side note, I have been studying other views which disagree with the idea of a 7-year tribulation (which itself is simply an extrapolation based on just one specific interpretation of only one specific verse in the entire Bible), and am now starting to shift towards (or at least be open to) the view that the tribulation may in fact only be the length of time that is expressly stated in Scripture: 1260 days (Rev 11:3, 12:6) / 42 months (Rev 13:5) / a time, times, and half a time (Dan 12:7, Rev 12:14). In each case it is exactly 3.5 prophet years, never 7 years. 2012 - Following the thread... Hey, has anyone here actually read &/or recalls the theme of [?!Sir?] Arthur C. Clarke's novel 'Childhoods End', & noticed how closely it companions the actual ***religion*** of the Illuminati, & now compared it again with most NewAge expectations of: --This **IS** the new 'harmonic convergence' for the 'next evolutionary step' of – **not just only of humankind, but the **whole 'living planet'** [Mother Earth - Gaia] as into one**?!? The one thing I do find interesting (following the utopia theory) is that -- according to the New Agers -- the spiritually inferior will "vanish". Who, in their opinion, are the spiritually feeble? Who does the Bible say will be taken? I think these 2012ers will use that as an explanation for the Rapture. I am **SO** looking forward to being expelled into space ['the blessed hope']!!! Just as there was major hype, though a different kind, surrounding Y2K (the year 2000), it came and went with no big deal, and afterwards many people probably thought to themselves...."all the big hooplaw over nothing". Now, we have seen for a few years now, the big deal over the year 2012, and we still have a couple more years left till then for even more "hype". When 12-21-2012 comes and everyone wakes up on 12-22-2012 with nothing having happened.....once again, people will find themselves saying, or thinking "all the big hooplaw for how many years now, and nothing happened, again". Now for my major point to all this....with Y2K and 2012 both proving to be much about nothing, everyone will be primed and ready to laugh in our faces (even more than they do now) when more and more solid, can't deny it, evidence comes to light regarding Bible prophecy no one will believe it because they have heard all the "hype" before by mass media on other things, and it turned out to be nothing. Can you say "set up by Satan"?? That's what I see envolved in all this stuff. I had never thought about babies "not" being conceived during the 7 year tribulation. That makes more sense though, that there would be not conceptions during that time, if (and I believe He will) He removes children in the rapture. That really does make more sense to me, but, I guess we will just have to wait and see. son of thunder says, "Who does the Bible say will be taken? Christians, on both counts." Matt 24:29, "Immediately after the tribulation of those days shall the sun be darkened, and the moon shall not give her light, and the stars shall fall from heaven, and the powers of the heavens shall be shaken:"
Matt 24:30, "And then shall appear the sign of the Son of man in heaven: and then shall all the tribes of the earth mourn, and they shall see the Son of man coming in the clouds of heaven with power and great glory." Matt 24:31,40-42, "And he shall send his angels with a great sound of a trumpet, and they shall gather together his elect from the four winds, from one end of heaven to the other... Then shall two be in the field; the one shall be taken, and the other left. Two [women shall be] grinding at the mill; the one shall be taken, and the other left. Watch therefore: for ye know not what hour your Lord doth come." This is referring to the Day of the Lord -- Christ's Second Coming -- which only takes place after the tribulation. [Matt 24:29 parallel]: "And I beheld when he had opened the sixth seal, and, lo, there was a great earthquake; and the sun became black as sackcloth of hair, and the moon became as blood; And the stars of heaven fell unto the earth, even as a fig tree casteth her untimely figs, when she is shaken of a mighty wind. And the heaven departed as a scroll when it is rolled together; and every mountain and island were moved out of their places." [Matt 24:30 parallel}: "And the kings of the earth, and the great men, and the rich men, and the chief captains, and the mighty men, and every bondman, and every free man, hid themselves in the dens and in the rocks of the mountains; And said to the mountains and rocks, Fall on us, and hide us from the face of him that sitteth on the throne, and from the wrath of the Lamb: For the great day of his wrath is come; and who shall be able to stand?" [Matt 24:30,40-42 parallel]: "And after these things I saw four angels standing on the four corners of the earth, holding the four winds of the earth... And I saw another angel ascending from the east, having the seal of the living God: and he cried with a loud voice to the four angels, to whom it was given to hurt the earth and the sea, Saying, Hurt not the earth, neither the sea, nor the trees, till we have sealed the servants of our God in their foreheads. And I heard the number of them which were sealed: [and there were] sealed an hundred [and] forty [and] four thousand... After this I beheld, and, lo, a great multitude, which no man could number... These are they which came out of great tribulation, and have washed their robes, and made them white in the blood of the Lamb." The "2012ers" will not have any need to explain what happened. The whole world will see and know what is going on. Y2K - Most of the world believes as you do, that it was a non-event, because very little is still ever reported by the 'Lame-Stream Media' of all the Herculean efforts by major companies & programmers to solve a very real problem! I worked for a company that manufactured computerized safety monitoring equipment for major manufacturing companies around the world. We worked on this for over a year & a half & identified 'roll-over' problems both in our own software as well as bios errors in the different industrial computer boards that we used & we got them to fix what we found too. And I agree - "Can you say "set up by Satan"??"! Now that I think about it, I would say deliberately under-reported. This plays right into it very well!!! Mitchell said..."...a 7-year tribulation (which itself is simply an extrapolation based on just one specific interpretation of only one specific verse in the entire Bible)..."
Ck this out: "Daniel's 70 Weeks of Years - When did it start? Has it ended, or is there a gap in it?" DrNoFog: A word of advice. I consider Mitchell (Nice to see you back, Mitchell!!) to be as much a friend as one can be in the blogosphere, but you are opening a can of worms. He has his opinions and I respect him, but take it from me: We've all been 'round and 'round with him. Billy, Nathan, hartdawg, junbuggg, etc. I just can't wait to look him in the face at the Pre-trib Rapture and say, "Nice to finally meet ya, Mitchell." Not a problem, didn't know the 'history', thanx 4 the heads-up. I was intrigued by the concept of not adding the 2 halves of the 70th week together & I thot David did an excellent time-line job in the piece I linked. My youngest brother will prolly have the same look on his face too! He drinks the same Koolaid... lol! Yeah, I am familiar with the view of the 70th week that most here believe, however I'm now keeping an open mind to the possibility that this could very well be incorrect. There are many theologians, commentators and great teachers throughout the history of the Church and even today who believe that the “he” who confirms the covenant with many for one week is not Antichrist at all, but rather the "he" is the one referred to in the context of Dan 9:25 -- the Messiah. Jamieson-Fausset-Brown Bible Commentary states, “he shall confirm the covenant-Christ. The confirmation of the covenant is assigned to Him also elsewhere. Isa 42:6, “I will give thee for a covenant of the people” (that is, He in whom the covenant between Israel and God is personally expressed); compare Lu 22:20, “The new testament in My blood”; Mal 3:1, “the angel of the covenant”; Jer 31:31-34, describes the Messianic covenant in full.” They also believe that “Jesus died in the middle of the last week, A.D. 30. His prophetic life lasted three and a half years…”. Some believe that the entire 70th week was already fulfilled, others believe that it was only partially fulfilled. I am open to various opinions in this regard. The article below lays out such a position quite well. There was a very good discussion over on another blog where myself and a few others bounced some ideas off each other in light of Biltz's research. Is it a coincidence that you read EXACTLY like Bob Mitchell from “Shofar Ministries” the POSTRIB blog in Meree olde England; my dear old sparring pal? Ifn you baint im, then they bin gon an dun cloned im. rofl. If ye be im, ya knows that the CONTEXT of Matt.24 is to Israel, the Church is still a mystery until Acts 2. Because the Postrib view is deduced from the Allegorical interpretation of Covenant Theology, it sees the Church and Israel as ONE people with no distinctions. My view is that OT saints are part of the Church. They looked forward to the promise of Messiah. NT saints look back to the promise of Messiah. To me, it is pretty clear that the two have become One Body through Christ Jesus. To say that the NT church is parenthetical in God's plan is nowhere to be found in Scripture. Eph 3:1-6 states in no uncertain terms that through the Gospel the Gentiles are heirs together with Israel, members together of ONE body, and sharers together in the promise in Christ Jesus: Eph 3:1-6, "For this reason I, Paul, the prisoner of Christ Jesus for the sake of you Gentiles — Surely you have heard about the administration of God's grace that was given to me for you, that is, the mystery made known to me by revelation, as I have already written briefly. In reading this, then, you will be able to understand my insight into the mystery of Christ, which was not made known to men in other generations as it has now been revealed by the Spirit to God's holy apostles and prophets. This mystery is that through the Gospel the Gentiles are heirs together with Israel, members together of one body, and sharers together in the promise in Christ Jesus"
Romans 11:25-26 reveals to us that Israel is saved once the fullness of the Gentiles comes in. Rom 11:25-26, "For I would not, brethren, that ye should be ignorant of this mystery, lest ye should be wise in your own conceits; that blindness in part is happened to Israel, until the fulness of the Gentiles be come in. And so all Israel shall be saved: as it is written, There shall come out of Sion the Deliverer, and shall turn away ungodliness from Jacob"
1 Cor 12:12-13 says, "The body is a unit, though it is made up of many parts; and though all its parts are many, they form one body. So it is with Christ. For we were all baptized by one Spirit into one body -- whether Jews or Greeks, slave or free--and we were all given the one Spirit to drink"
Eph 2:11-22, "Therefore, remember that formerly you who are Gentiles by birth and called 'uncircumcised' by those who call themselves 'the circumcision' (that done in the body by the hands of men)-- remember that at that time you were separate from Christ, excluded from citizenship in Israel and foreigners to the covenants of the promise, without hope and without God in the world. But now in Christ Jesus you who once were far away have been brought near through the blood of Christ. For he himself is our peace, who has made the two one and has destroyed the barrier, the dividing wall of hostility, by abolishing in his flesh the law with its commandments and regulations. His purpose was to create in himself one new man out of the two, thus making peace, and in this one body to reconcile both of them to God through the cross, by which he put to death their hostility. He came and preached peace to you who were far away and peace to those who were near. For through him we both have access to the Father by one Spirit. Consequently, you are no longer foreigners and aliens, but fellow citizens with God's people and members of God's household, built on the foundation of the apostles and prophets, with Christ Jesus himself as the chief cornerstone. In him the whole building is joined together and rises to become a holy temple in the Lord. And in him you too are being built together to become a dwelling in which God lives by his Spirit." Notice the following: Jesus referenced the church in Matthew both directly and indirectly. Look at what Christ said here about resolving conflicts in the church. Matthew 18:15-18, "If your brother sins against you, go and show him his fault, just between the two of you. If he listens to you, you have won your brother over. But if he will not listen, take one or two others along, so that 'every matter may be established by the testimony of two or three witnesses.' If he refuses to listen to them, tell it to the church; and if he refuses to listen even to the church, treat him as you would a pagan or a tax collector. I tell you the truth, whatever you bind on earth will be bound in heaven, and whatever you loose on earth will be loosed in heaven." Acts 7:37-38, "This is that Moses, which said unto the children of Israel, A prophet shall the Lord your God raise up unto you of your brethren, like unto me; him shall ye hear. This is he, that was in the church in the wilderness with the angel which spake to him in the mount Sina, and [with] our fathers: who received the lively oracles to give unto us"
Thus, the Church is in fact the assembly of BELIEVERS -- true Israel -- comprised of both the OT believers who looked forward to the promise of Messiah who was to come, as well as the NT believers who look back to the promise of Messiah who came. The Church is One Body, and it is those who have a relationship with YHWH the God of Abraham, Isaac and Jacob. ChristianAnswers.net makes a few points by noting that, "God has ever had only one church on earth. We sometimes speak of the Old Testament Church and of the New Testament church, but they are one and the same. The Old Testament church was not to be changed but enlarged (Isa. 49:13-23; 60:1-14). When the Jews are at length restored, they will not enter a new church, but will be grafted again into "their own olive tree" (Rom. 11:18-24; compare Eph. 2:11-22). The apostles did not set up a new organization. Under their ministry disciples were 'added' to the 'church' already existing (Acts 2:47)." In Matt 16:18 Jesus said that He would build His church "upon this rock". But who is the rock? Peter or Christ? Scripture gives us the answer. 1 Cor. 3:11, "For other foundation can no man lay than that is laid, which is Jesus Christ." 1 Cor 10:1-4, "Moreover, brethren, I would not that ye should be ignorant, how that all our fathers were under the cloud, and all passed through the sea; And were all baptized unto Moses in the cloud and in the sea; And did all eat the same spiritual meat; And did all drink the same spiritual drink: for they drank of that spiritual Rock that followed them: and that Rock was Christ." Christ said that He would build His Church. Not create it from anew, but build it (the Greek word is oikodomeō) -- the Church already existed for the foundation had already been laid, and now because of Christ Jesus, Gentiles would be added to His Church and would no longer be foreigners and aliens, but fellow citizens with God's people and members of God's household, built on the foundation of the apostles and prophets, with Christ Jesus himself as the chief cornerstone. (Eph. 2:11-22). Bob Pickle of Pickle Publishing makes a few noteworthy points by writing that, "Ekklesia, the Greek word translated 'church' in the New Testament, is often used to refer to Israel in the ancient Greek version of the Old Testament known as the Septuagint (LXX). In the LXX ekklesia is even used as a synonym for the Greek word sunagoge, a word that we transliterate as 'synagogue.' Further, sunagoge in the LXX sometimes refers to Gentiles. These facts indicate that in Scripture there is not as sharp a distinction between the church and Israel as modern dispensationalism would have us believe. Many dispensationalists have said, 'Israel is not the Church and the Church is not Israel.' A lot of doctrines and eschatology are built upon this premise. Yet when one examines Scripture itself, one is surprised to discover that Israel in the Old Testament is repeatedly called the 'church.'" Covenant Theology does make some good valid points at times. Even Traditional Dispensationalism makes some good valid points as well. But if we want to digest good healthy food that edifies the Body we need to keep the meat and spit out the bones. The view that does this and is the most Scriptural, in my opinion, is Progressive Dispensationalism. There is only one plan of salvation for man, and that has always been and will always be through Messiah Yeshua, and Him alone, for there is no other Name given under Heaven where we can be saved. One Tree, One Body, One Church, One Bride, One Savior, One God. One Second Coming. That's how I see it. son of thunder said, "... opening a can of worms." ROFL Then Bob Mitchell has been CLONED, bless him! This is SO strange and downright SPOOKY! There’s not a jot of difference between you in style, manner, and notions; including disclaimer of C.T. and Replacement Theology. Bob Mitchell has also written this “I do not adhere to Covenant Theology at all because I have a big problem with "replacement theology" and the failure to interpret the 1,000 year reign of Christ in Rev 20 literally”. And this “Israel is the Church in the Old Testament and The Church is Israel in the New Testament”. That is what you mean isn’t it? It’s Premill Historical C.T. It’s all in Arnold Fruchtenbaums “The Missing Link In Systematic Theology”. EXACTLY the same view – how amazing is that! Rev.20; the ONLY Scripture that Premill. C.T. dispute with Post and Amill.C.T. AND you interpret prophecy allegorically. Perhaps “Progressive Dispensationalism” is the new name distancing from what is otherwise Covenant Theology’s teaching and its Allegorical Hermeneutic? The fact remains that there can be no agreement between Literal and Figurative Bible interpretation. I have proved by experience it means forever speaking at cross purposes, and the confusion will become monumental. A rose by any other name – say what! I live and learn lol. Regarding Matt.18. ‘church’ is ekklesia in Greek and is in Thayer’s. b) the assembly of the ISRAELITES!. CONTEXT reveals this does not concern THE CHURCH saved through the death and resurrection of Jesus. As I have been through all this before, and I have limited time remaining to respond, I will end as I always do CONTEXT! CONTEXT! CONTEXT! This has very efficiently proved my point that LITERAL and FIGURATIVE can never come to agreement and do aught but cause confusion, and worms will cause a very nasty itch! Interesting way to start a reply. "...what does your name mean? :)" What does Mitchell mean? I could answer with Maverick's [Top Gun] answer: "I could tell you...but then I'd have to kill you"... I could give you a cryptic hint. If you haven't already, read Devvy Kidd's "Why a bankrupt America?" http://www.ssrsi.org/Onsite/BBStext/whybkusa.htm But do read the whole thing so you have a clear pic of where we really are. I ck'd your PFRS links & I see a lot of hair splitting trying to make a distinction between TD & PD whatever either *really* are. PFRS didn't have any clear article on the rapture, but their goofy chart seems to indicate a mid or post-trib one. And [preterist?] Wohlberg's all wet. Quoting Matthew Henry & the other old guys doesn't hold any real water these days if you really are 'progressive'. Their views were fuzzy... The 'key' was for the last days & it is progressive. Augustine was briefly into chiliasm 'til his anti-semitism got the best of him, so he found a quick fix in amill. writing the Jews outta the picture. That's been a major stumbling block for centuries til God began revealing that Israel had to be back in the land & Russia had to become a nation instead of mongol hoards running around all willy-nilly & to become a world power too! So in 1948 rapturists starting waving flags & tooting horns that it all had to happen before 1988, the proverbial 40yr generational thingy, because they didn't read the fine print in Ezek.38! So where are we today? "Israelistine" shows there's still stuff we are overlooking & don't know yet. Back to the "He"; I believe the Word follows simple rules of grammar in the Hebrew too. The nearest antecedent is not "Messiah", but "prince to come" - that would be ol' AC hisself! I also think understanding the LXX *translation* as the one ‘church’ falls apart on closer exam and is further muddied by the entrenched Catholic word in old English ‘church’ or Kirk, which sorta evolved into referring to institution rather than the give-away trans of 'out-called ones'. The LLX's translators picked 'ekklesia' as appropriate because of inherent problems with 'laos', the polite form for 'people' as it doesn't convey Israel's uniqueness as God's chosen people, and the derogatory 'demos'; 'crowd or mob' [which today's Libs still don't get what our Founding Fathers gave us. We're NOT a mobocracy, we're a Constitutional Republic!!! Ooops, sorry for the rant...NOT!] Preserving Israel's uniqueness using 'out-called ones' does not, by itself, build a foundation to equate the 2 as one. As to your other blog links, numbers & dates can be fun to play with, but at what point does it become "Numerology"? BTW – speaking of numbers, is there a word count limit here like on some other blogs? Hi anon, you've written much but have said little in terms of what you believe and why you believe it. If you'd like to present your position and the Scriptures which you believe supports it, that would be great. Also, what, in your opinion, do you believe I am interpreting "allegorically", and why do you disagree? I'd like to see your reasoning, so that we can then discuss. I have been pondering this 'need' to get the support of the so called 'church fathers'to bolster Postie views. As the 'church fathers' were a part of the near destruction of the early Church via gnosticism, its interesting that as well as Posties, the recent heresy of "Emergent" is doing the self same thing. The purpose of which is to get the visible church back under the heel of Rome. Just to add that to make the church Israel and vice verse etc is an abandonment of the basic rules of grammar and an embrace of ambiguous allegory. In the words of my word verification - its fakero! E.I., I like the way you think! AnonymousDrNofog says that it's not that hard to register a 'Tag' name or at least give up sumpin' at the end of yer post like "E.I." does, so we know which "Anon" we might be addressn'-4-correctn'!! Quite a number of Early Church Fathers took the Pre-Tribulation view (see #11). Who says I need correctin', Nofog? I don’t disagree at all with this Nathan. In my personal rumble with Posties they have been pinpointing the parts that suggest Post by insisting with fury that the ‘church fathers’ were not Pre. What I see was how uncertain the ‘church fathers’ were;in the same paragraph, both views can be seen. Finally I decided to stick with the original Church Fathers, the Apostles. They were definitely expecting Jesus to return with no ambiguity e.g. the use of present tense “then WE which are alive and remain” etc. (although they have even tried to twist this) I have found it is vital to stick to the grammar and literal interp. as the only way to keep my sanity with the nonsense Posties keep churning out by using the church fathers as their ‘proof’ that Post is older than Pre.- NOT! In addition (I’m on a roll) I have no way to prove this theory, but, I consider it very likely that ANY literature that did not sit well with Rome’s stance on ‘Pergatory’, such as the Pretrib Rapture, stood little chance of being allowed to circulate for long. I am suggesting there have been clear Pretrib letters that Rome has either destroyed or archived away from unsuitable eyes. As you know Pseudo Ephraim was an exception and I am certain there are more. The Posties have said that he was not the real Ephraim, to disqualify the writing. However I don’t think it matters, because the point of the exercise was to prove Pretrib was known very early and not as they pretend with MM and Derby. Whether the man WAS Ephraim or Pseudo does not change the fact that Pre was talked about very early. Hi I am Bob Mitchell and stumbles on this site today athough I know of it. For the record I do believe the church and OT saints are the one body of Messiah. I do not believe in replacement theology. Covenant theology as far as I can make out from the guys I have listened to, does include the believers in Israel from the Old Testament and the New. It seems strange and insulting to me to believe Abraham, Isaac, David and the prophets all those who looked forward to Messiah, are in heaven with Peter, Paul, the apostles and believers of the ages. But come the rapture the "church" takes off to collect their new resurrected bodies leaving father Abraham and the prophets, even David back in heaven. They must wait, according to dispensationalism, until the "Second Coming". But we must never say this creates a two tier system in heaven, those who looked for Messiah and "rejoiced to see his day" and those who came after Messiah arrived..........must we. We are one in the same faith as Abraham, father of the faithful, and David and the prophets. Dispensationalism is less than two hundred years old yet it has infiltrated the church like a cancer. Bob, it seems to me that you're basing this conclusion on emotion. As for dispensationalism...Gundry considered himself one. Good to see you on 'my' turf for a change. I do hope you continue posting. Bob Mitchell said “It seems strange and insulting to me to believe Abraham, Isaac, David and the prophets all those who looked forward to Messiah, are in heaven with Peter, Paul, the apostles and believers of the ages. But come the rapture the "church" takes off to collect their new resurrected bodies leaving father Abraham and the prophets, even David back in heaven. They must wait, according to dispensationalism, until the "Second Coming". This is a tad emotive Bob; is heaven such a terrible place to wait for another few years (7) until their appointed time in the plan and purposes of God? Remember Jesus said those in the kingdom ( IN Christ),are in a ‘better position’ than the greatest O.T. prophet John the Baptist. Matt.11:11” Verily I say unto you, Among them that are born of women there hath not risen a greater than John the Baptist: notwithstanding he that is least in the kingdom of heaven is greater than he”. Can you not see a distinction here? I am sure the O.T. saints will be standing at heavens gates cheering Jesus on as He leaves to go and catch up His Bride into the clouds. This is no more a two tier system than any family is, each member has their place and each member valued for who they are. Bob Mitchell said "Dispensationalism is less than two hundred years old yet it has infiltrated the church like a cancer". “Dispensationalism” is merely a term given to something that already exists in God’s Word. The Greek word is oikonomia means ‘the management of a household or of household affairs’. Specifically, the management, oversight, administration, of other's property. The office of a manager or overseer, stewardship, administration or dispensation. It is where our word ‘economy’ comes from. The way that God administered His household during the creation of the world and dealt with Adam and Eve, was very different when they ‘fell’. With the fall, God’s household affairs had to change to suit the circumstances brought about by the fall. Things chaged again after the flood and so on until this present age of grace. Similarly, some think that ‘The Council of Nicea’ actually chose which books could go into the Bible. Yet this was not the case, they only CONFIRMED what was already known and accepted by the Church and formalised them. Likewise oikonomia or dispensations clearly existed in the Scriptures, Scholars merely CONFIRMED its existence by using one translation of oikonomia as Dispensationalism. If I have this wrong, I hope the other bloggers will correct me. And, as Ryrie points out in "Dispensationalism", elements of dispensationalism were recognized by others long before Darby. Essentially, though, it ultimately boils down to what the WORD says rather than the newness of a concept. RG Do you know how old Covenant Theology Is? I thought it may be from Augistine's time and he got it from - Origen maybe??? Later it was picked up by Calvin? If so, unlike oikenomia, it wasn't know by the Bible writers??? Haven't got time to elaborate but those who point to the newness of dospensationalism (hence pre-trib) would be advised to read Ryrie's chapter ten p 213 that covers the earliest concepts of CT.
Whoopee! You are an inspiration! Just realised I bought said book in the summer and forgot about it. Chapter 10 you said - - that's page 213. I'll be back. Systemised C.T. is recent. IT WAS NOT THE EXPRESSED DOCTRINE OF THE EARLY CHURCH. Never taught by Church leaders in the Middle Ages. It was not even mentioned by the primary leaders of the reformation. Indeed, C.T. as a system is only a little older than Disp. That does not mean it is not Biblical, but it does dispel the notion that C.T. has been throughout all church history the ancient guardian of the truth that is only recently being sniped at by Disp. C.T. does not appear in the writings of Zwingli, Calvin or Melanchthon --------- they had every opportunity to incorperate the covenant idea, but they did not. There were no refs.to C.T. in ANY of the great confessions of faith until the Westminster Con. in 1647, and even then C.T. was not as fully developed as it was later by Reformed theologians ---." Thanks RG; I know what I am reading at bedtime, great stuff. Musta dozed off... Didn't know this thread was still runnin' with 'The Usual Suspects' head-buttin' each other. LOL! If I'da knowed you had all that already there I'da just ripped it off you instead of all that typing I did... not very fast at it ya know. I was messin' with ya, DrNofog. I get lazy and sometimes don't sign at the end. I need the occasional slap in the back of the head. By the way, E.I., chapter six of Ryrie's book, "Salvation in Dispensationalism", is also quite interesting and should be read by critics. Apparently Scofield's first study Bible had unfortunate wording in one note that seemed to infer there were two ways to salvation. That he did not believe this is shown by his numerous notes elsewhere. A later edition corrected it but non-dispies seized on that and went after dispensationalism. The irony of it all is that Ryrie shows examples where reformed theologians have also made similar mis-statements that could be misconstrued as teaching more than one method of salvation. I've just replaced my tatty old NKJ Bible with my first ‘Schofields Study Bible’. It's 'delicious'! I learned from Posties how bad it was, so I thought – ‘hm, must be good then’! :-D I was right! Getting old does have advantages; it allow for mistakes when corrected. Once words are in print and distributed, it is impossible to withdraw them. It's those with an agenda who refuse their 'opponents' an error and indicates immaturity and a root of bitterness, no matter their physical age. It is acutely dishonest to teach others, who lack the ability to check for themselves, things like Schofields slip-up that had been retracted, AND charge them DELIBERATELY for misleading them (operation Pretrib). I have repeatedly noticed with Posties that what is ‘sauce for the Goose’, is denied to the Gander! Subject change based on the original written language used by the ‘Church Fathers’; was it in Latin? I ask because Posties see the translated words ‘the church’ in their writings, and assume that THE Church is present in the Tribulation. I consider this is because, like the Greek ‘ecclesia’, which loosely means a ‘gathering’ of people (could be Christians, could be Jews, even gentiles) only the context makes it clear WHO they are. (Mitchell made this mistake in one of his posts). Or is it ‘church’, because of a failure by the ‘fathers’ to recognise a distinction between the ‘saints or elect’ in the Trib; being a different company from THE Church that had been raptured by then? Phew! Is that clear? Any ideas? EI, Schofield is an excellent choice. I was raised in a "good" Catholic home, believed in God, Jesus crucified & resurrected for us, & that I wasn't ready to get too close to either one of them until much later in life. While I was in the mil. my dad got up & took his family out of the RCC when a priest blasphemed in his "sermon" shortly after MLK got offed, saying that if MLK had lived 2000yrs ago we wouldn't be in the mess we're in today. Wow! Dad found a small, Bible believing church close by and when I came home, I found out what a Bible was for & got saved shortly thereafter. I knew nothing about the Bible, theology & prophecy [being a good Catholic & all], being completely virginal to it all, so when our Baptist pastor started talking all this nonsense about a rapture & a 1000yr kingdom back on earth [of all places], I began to question where he was getting all this stuff. After all, we were supposed to go thru purgatory & then remain in Heaven forever after, not return to any old earth... So the recommended books at the time ['71] was a Schofield Bible & 'Things To Come' by J. Dwight Pentecost [a very fat book]. Now, being the son of a world-class physicist, listed in WW of the World [boy, where did I take a left turn? ], I figgered I had enough inherited grey matter to find some holes in Pentecost's stuff... Every argument that I could conger up had already been handled in such minute detail and I was thoroughly PTR when I finished it. Now, in almost 40yrs, I have still yet to see any argument that can poke a hole in the PTR position. EI, Middletown Bible Church has some good resources that discuss the differences between Israel and the church and the word ekklesia. Posties need to see little difference between the church and Israel to support their rapture position based on a single First Resurrection of OT and NT saints. This is one reason why Progressive Dispensationalism is becoming so popular. It’s a fascinating and complex subject –at least for my addled mind. But Paul’s writings make it pretty plain to me that the church is a new entity that is distinct from Israel. IMO, the church fathers (post-apostles) didn’t have a sophisticated eschatology. Most modern rapture positions will contain elements that will not be found within their literature. God bless your hearts for the very interesting replies. It took me a while to work out what ‘MLK and mil’. is, so I Googled, and the dear old thing came up with ‘Martin Luther King’ and ‘Military’ (ours are the ‘Armed Forces’) although PTR – Pentecostal ? ? has stumped me! Well done your dad DrNofog. Middletown is a great link, I have had a quick browse and I look forward to searching out my answer when my head clears a little more. I totally agree that “the church fathers (post-apostles) didn’t have a sophisticated eschatology”. I think that is why I thought PD was the steady and progressive revelation of Dispensations and prophecy on the end times. How wrong was I! Thanks again, I am really grateful for the direction. DrNofog, I’m with you on Pentecost’s book. That’s one I stumbled across when I first began studying eschatology, not that long ago. I’m a newbie in these matters. That book is an oldie but a classic that I refer to often. I’d love for JDP to do a follow up to include the pre-wrath view and some of the new stuff people are talking about. EI, if you have any questions, you can e-mail Pastor George Zeller of Middletown. He’s very approachable and knowledgeable. It is quite obvious that earthquakes are unleashing worldwide. There is a free book on forthcoming events such as earthquakes, tsunamis, volcanoes and eventually Earth’s pole shift, all of them triggered by the approach of Nibiru or planet Hercolubus. That book is an important alert and a guide to prepare ourselves for the coming times. Just go to www.hercolubus.tv and click on the ‘free copy’ link. There are translations to several languages.